Andrew and Amber Butler previously campaigned a Dufour 36e before stepping up to their Farr 40, Komodo. 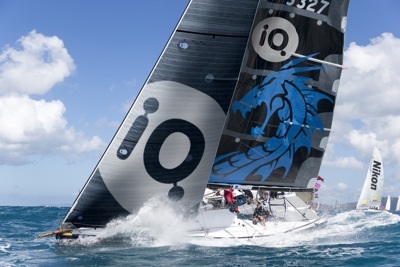 Named to raise awareness of the endangered Komodo dragon, they will reveal her at the Land Rover Sydney Gold Coast Yacht Race, their first major event with Komodo. This yacht is the former Kokomo, then owned by development tycoon, Lang Walker, who campaigned at major Farr 40 one-design events in Australia and overseas with his fair share of wins.